Camp Hiawatha, located on the sixty-acre Bunting Lake, has a tradition of Scout camping in over 800 acres of pristine spruce and pines. It offers many opportunities for Units outside of the traditional camping sessions and is available to Units throughout the year as a base camp if they wish to explore the surrounding national forest or hike along the Pictured Rocks National Lakeshore. Enter the payment information and select the red Make Payment button. The camp site is 1 large area that holds approximately 10 tents. * No water from October – April. During this time groups must bring their own water. The Bay-Lakes Council, Boy Scouts of America needs your help in following the procedures listed below. Two registered adult leaders or one registered leader and a parent of a participant, one of whom must be 21 years of age or older, are required on all trips and outings. The Chartered Organization is responsible for ensuring that sufficient leadership is provided for all activities. For Cub Scout Outings: At least one adult must have completed BALOO (Basic Adult Leader Outdoor Orientation). A minimum of one adult is required to be Youth Protection Trained. It only takes a couple of minutes to become Youth Protection Trained. Go to www.My.Scouting.org, log in or create an account. On the homepage, scroll down to see and click the Take Youth Protection Training Button. For Co-ed Outings: Appropriate adult leadership must be present for all overnight Scouting activities; even those including parent and child, require male and female adult leaders, both of whom must be 21 years of age or older, and one of whom must be a registered member of the BSA. The chartered organization is responsible for ensuring that sufficient leadership is provided for all activities. Adult leaders must respect the privacy of youth members in situations such as changing clothes and taking showers at camp, and intrude only to the extent that health and safety requires. Adults must protect their privacy in similar situations. Adults must establish separation barriers or privacy zones such as a temporary blanket or sheet walls in order to keep their sleeping area and dressing area separated from the youth. Male and female leaders require separate sleeping facilities. Married couples may share the same quarters if appropriate facilities are available. Male and female youth participants will not share the same sleeping facility. When staying in tents, no youth will stay in the tent of an adult other than his/hers parent or guardian. The buddy system is required for all aquatic activities and strongly encouraged for all camp outings. Assign a buddy to each person for the duration of the stay. Be sure all travel in and around the camp is in groups of two or more. The Boy Scouts of America prohibits the use of alcoholic beverages and controlled substances at encampments or activities on property owned and/or operated by the Bay-Lakes Council, Boy Scouts of America, or at any activity involving participation of youth members. Adult leaders should support the attitude that young adults are better off without tobacco and may not allow the use of tobacco products at any BSA activity involving youth participants. All Scouting functions, meetings, and activities should be conducted on a smoke-free basis, with smoking areas located away from all participants (see the Camp Ranger or Campmaster for designated smoking areas in camp.) All Council owned facilities are smoke free environments, including e-cigarettes. It is important that one person in each group be trained in the principles of first aid and CPR, and know how and when to put this knowledge to the best use. They should have a thorough understanding of the limitations of this knowledge. In addition, each group should have a first aid kit in their possession at all times. For any and all types of injuries, reporting them to the Camp Ranger or Campmaster is required. Each camp has a health log that is to be used when an injury occurs. Health logs are available through the Camp Ranger or Campmaster, who is responsible for recording any accidents. Each BSA camper is required to have a health history on file with the Unit leader. This includes parents and non-Scouts who may be in camp with a Unit. These forms are available at the Bay-Lakes Council, Center for Scouting or the Council website: www.baylakesbsa.org. Click on the Resources tab and then click the Forms & Resources menu. Knowledgeable adult supervision must be provided when Scouts are involved in the storage and handling of liquid fuels. The filling of stoves or lanterns must be done by adults. The use of liquid fuels for starting any type of fire is prohibited. Only flashlights and electric lanterns are permitted in tents. “No flames in tents” is a rule that must be enforced. Obey all fire laws, ordinances and regulations. The Camp Ranger or Campmaster can give you the most current guidelines on these topics. The Boy Scouts of America prohibits the securing, use and display of fireworks in conjunction with programs and activities on or off Council properties. Except for law enforcement officers required to carry firearms within their jurisdiction, firearms shall not be brought on camping, hiking, backpacking, or other Scouting activities except those specifically planned for target shooting under the supervision of a certified BSA or National Rifle Association firearms instructor. The activity commonly referred to as “War Games” – in which one individual shoots paint or dye at another individual. Hunting, although hunting safety is part of the program curriculum. Sledding with steel runner sleds. 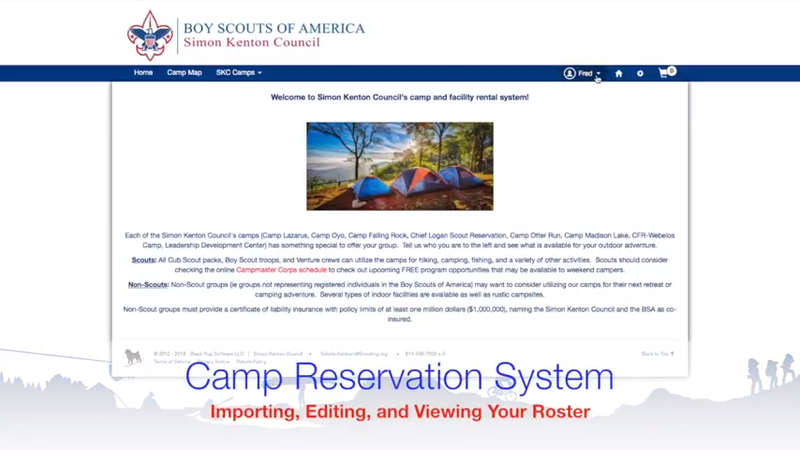 For a complete listing of unauthorized and restricted activities, refer to the Guide for Safe Scouting. Qualified Supervision: All swimming activity must be supervised by a mature and conscientious adult over 21 years of age who understands and knowingly accepts his or her responsibility for the well-being and safety of the children in his or her care, who is experienced in the water and confident of his or her ability to respond in the event of an emergency, and who is trained in and committed to compliance with the eight points of BSA Safe Swim Defense. (It is strongly recommended that all Units have at least one adult or older youth member currently certified as a BSA Lifeguard to assist in the planning and conducting of all swimming activities). Physical Fitness: Require evidence of fitness for swimming activity with complete Health History form signed by a physician, parent or legal guardian. Each participant must have a signed health history form to participate. Safe Area: Lifeguards inspect bottom of swimming area and set proper areas for three swim groups. (Non-swimmer, beginner and swimmer). Lifeguard on Duty: Appoint two capable swimmers as lifeguards. Lookout: Station lookout on shore with view of complete swim area. Ability Groups: Divide into three ability groups; Non-swimmers, Beginners, and Swimmers. Keep each group in its own area. Buddy System: Pair everyone with another in their own ability group. Buddies check in and out together. Hold buddy check every 10 minutes. Discipline: Explain safety rules (running, diving, pushing, etc.) and enforce them. All activity afloat must be supervised by a mature and conscientious adult over 21 years of age who understands and knowingly accepts his responsibility for the well-being and safety of the children in his or her care, who is experienced and qualified in the particular watercraft skills and equipment involved in the activity and who is committed to compliance with the nine points of BSA Safety Afloat. One supervisor is required for each 10 people, with a minimum of two adults for any one group. For Cub Scouts the ratio is one adult per five boys. All supervisors must complete BSA Safety Afloat and Safe Swim Defense training and at least one must be certified in CPR. (It is strongly recommended that all Units have at least one adult or older youth member currently certified as a BSA Lifeguard to assist in the planning and conducting of all activity afloat). Swimming Ability: Only swimmers, those who can swim 100 yards, are allowed in boats/canoes. Non-swimmers or beginners are allowed in boats/canoes ONLY with an ADULT SWIMMER. Personal Floatation Device (PFD): Properly worn by all non-swimmers and beginners. Swimmers may store PFD within easy reach. Skill Proficiency: Handling skills, safety and emergency procedures explained. Planning: Adult lifeguards must be informed of where you are going and how long you will be gone. Equipment: All equipment must meet State, Federal and BSA regulations. Discipline: Explain safety rules and enforce them. Family Camping: Family camping is an outdoor experience, other than resident camping, that involves Cub Scouting, Boy Scouting, or Venturing program elements in an overnight setting with two or more family members, including at least one registered BSA member of that family. Parents are responsible for the supervision of their children and Youth Protection guidelines apply. Recreational Family Camping: When Scouting family’s camp, as a family Unit, outside of an organized program. It is a non-structured camping experience, but is conducted within a Scouting framework on local Council-owned property. Cub Scout Pack Overnighters: These are Pack organized events involving more than one family from a single Cub Scout Pack, focused on age-appropriate Cub Council-approved locations. If non-members, siblings participate, the event must be structured accordingly to accommodate them. All youth participants are responsible to a specific adult. Adults giving leadership to Cub Scout Pack overnighters must complete Basic Leader Outdoor Orientation (BALOO) to properly understand the importance of program intent, youth protection, health and safety, site selection, age-appropriate activities, and sufficient adult participation. 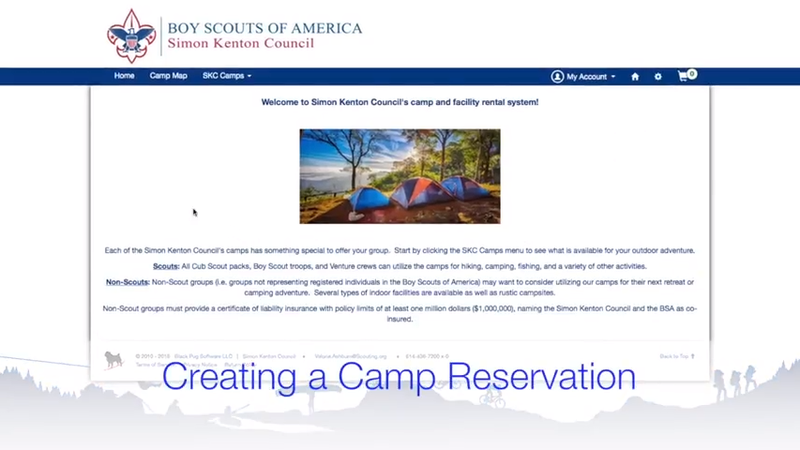 Boy Scout Camping: Registered members of Boy Scout Troops are eligible to participate in Troop or Patrol overnight campouts, camporees, and resident camps, provided all leadership standards and other BSA guidelines are met. If a well-meaning leader or parent brings along a child who does not meet these age guidelines, disservice is done to the Unit because of distractions often caused by younger children. A disservice is done to the child, who is not trained to participate in such activity and whom, as a non-member of the group, the older campers may ignore. Set-up a tent or build a man-made shelter in the outdoors and occupy the shelter for a period of 24 hours, with temperatures being 32°F or less. Actively participate in the planned program of the group remaining outside or in the shelter as much as possible. Complete the requirements between fall and winter of the current year into spring of the next year. Upon approval from the Unit leader, the participant earns the polar bear patch. These patches are available for sale through the Center for Scouting Program Department. Orders must be placed by May 1st using the Polar Bear Award Order form which can be found on the Bay-Lakes Council website; www.baylakesbsa.org. There will be a 10% processing fee on all cancellations.